England midfielder Alex Oxlade-Chamberlain said on Wednesday he was “devastated” to be ruled out of the World Cup with a knee injury, but that it “pales in comparison” to the attack on a Liverpool fan before Tuesday’s Champions League clash with Roma. 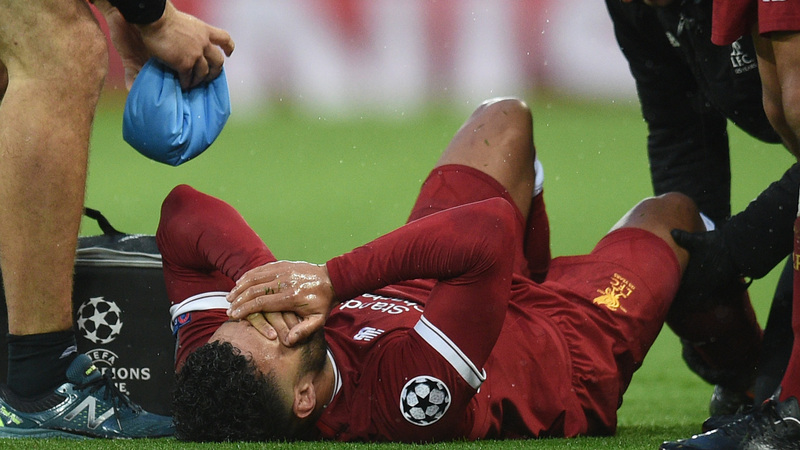 Oxlade-Chamberlain was carried off on a stretcher midway through the first half of the 5-2 semi-final first-leg victory over Roma. Liverpool’s win was marred by the news that supporter Sean Cox, 53, was left fighting for his life after suffering a serious head injury in an assault by Roma fans before kick-off. Two men have been arrested on suspicion of attempted murder after attacking Cox, who had travelled from Ireland along with his brother for the match. Oxlade-Chamberlain underwent a scan on Wednesday that revealed ligament damage, although the club are not putting an exact timeframe on how long he is likely to be out for. “I’m going to give everything I have to make sure I’m back as quickly as possible,” added the 24-year-old. 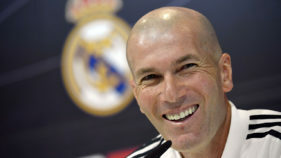 “However, all this pales in comparison to how the family of the Liverpool fan badly hurt before last night’s game must be feeling. Oxlade-Chamberlain has been denied appearances at international tournaments by knee injuries in the past, missing Euro 2016 having failed to play at the 2014 World Cup after suffering an injury in a warm-up match. “The extent of the injury means Oxlade-Chamberlain is set to miss the remainder of the campaign for Liverpool, as well as the World Cup finals in Russia with England,” Liverpool said in a statement on their website. Oxlade-Chamberlain has seen a stuttering career revitalised under Jurgen Klopp since moving to Liverpool last summer and his injury is a major blow to England boss Gareth Southgate. 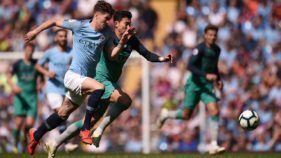 The former Arsenal man scored a stunning goal in Liverpool’s 3-0 quarter-final, first-leg Champions League win over Manchester City and was widely expected to be included in the England squad for the World Cup, which starts in Russia on June 15. 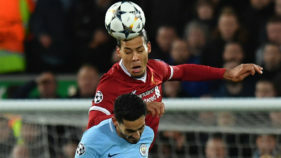 Klopp’s men looked certain for the Champions League final in Kiev on May 26 when doubles from the outstanding Mohamed Salah and Roberto Firmino either side of Sadio Mane’s strike saw the hosts race into a 5-0 lead. However, late goals from Edin Dzeko and Diego Perotti allied to Oxlade-Chamberlain’s injury soured Klopp’s mood. “The biggest blow for the mood in the dressing room is the injury to Ox,” said Klopp following his side’s win at Anfield, anticipating that his player had been badly hurt.